Howard Phillips Lovecraft was a horror fiction writer whose work went unrecognized during his short, impoverished life, which ended in 1937. Since his death however, he’s grown in literary stature to become, for many, second only to Edgar Allan Poe in the classic horror arena. Lovecraft was born in Providence, Rhode Island, and lived almost his entire life there. He resided in a few places in the city, and his last residence is still standing. It was this house that he used as a model for the home of his character Robert Blake, in his story “The Haunter of the Dark”. 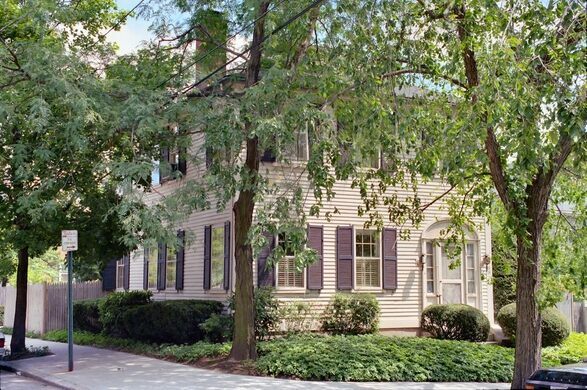 The house was originally located at 66 College Street but was moved to 65 Prospect Street when an expanding Brown University overtook the former location. 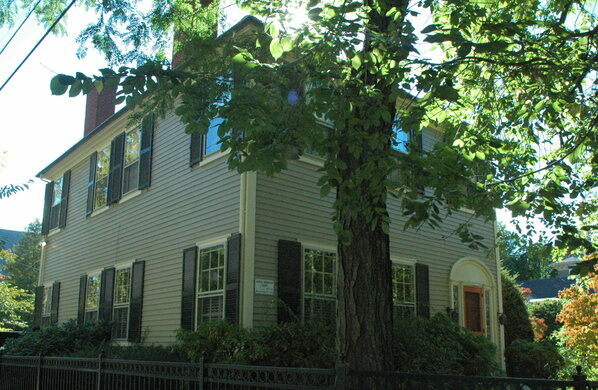 The private residence has a historical plaque that reads “Samuel B. Mumford House,” but nothing about Lovecraft. The house is close to Prospect Park, a small square that Lovecraft visited frequently and which magnificently overlooks the city and features a giant statue of the founder of the state, Roger Williams, with his remains interred therein. It was in this house that Lovecraft also wrote his autobiography, “Some Notes on a Nonentity”, in which he mentions the house and the “haunting vista” that could be seen from there (and which can’t be anymore because of the house changing location).